1. 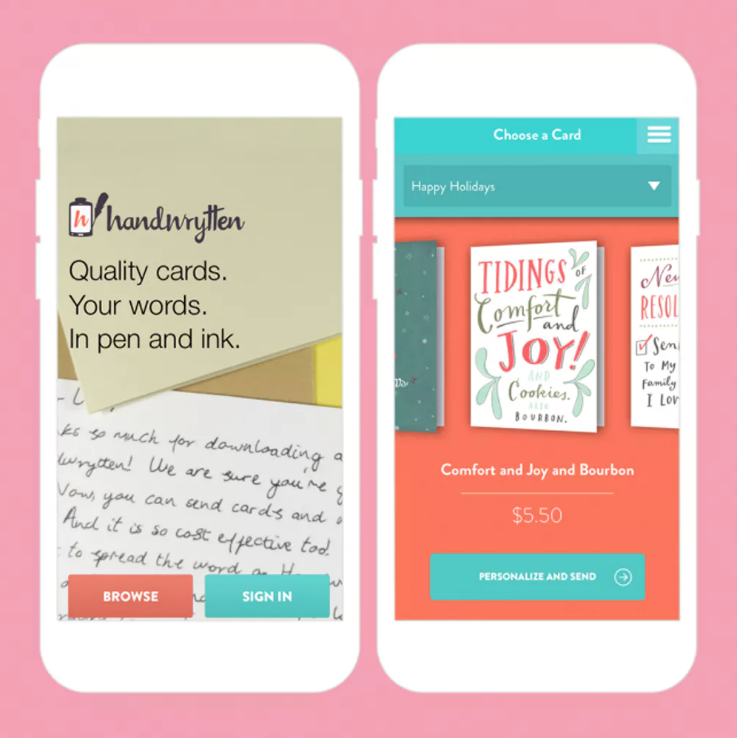 Punkpost: For handwritten cards by talented script artists, this is the app to download. With hundreds of letterpress cards at an awesome price (your first card is free and it’s only $5 per card after that), this lazy gal app is a great option for lettering fanatics. 2. 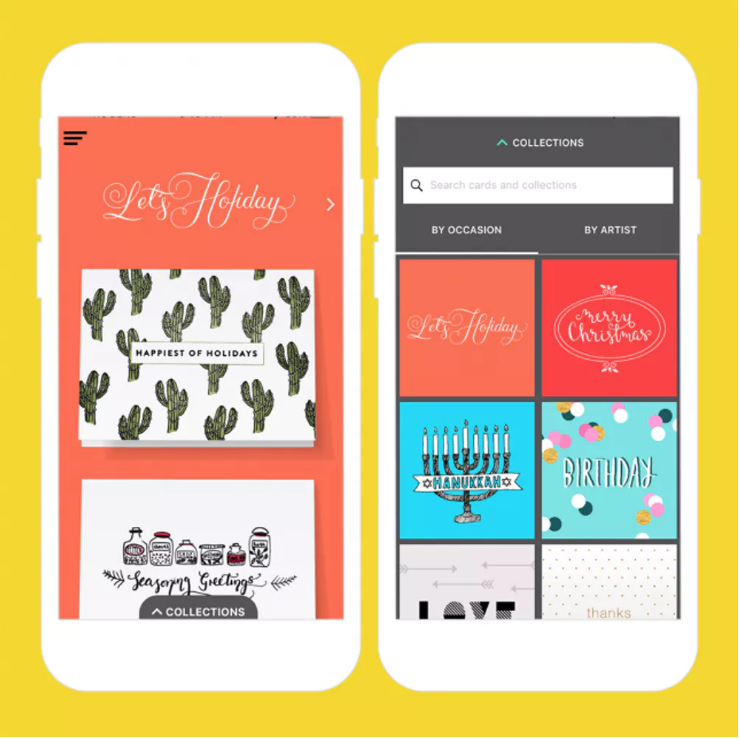 Paperless Post: With art by fan faves like Kate Spade, Rifle Paper Co. and Oscar de la Renta, this cool card app is definitely a must-download. Featuring fully customizable online and paper invites, it’s so handy you can even manage your RSVPs from right inside the app. 3. 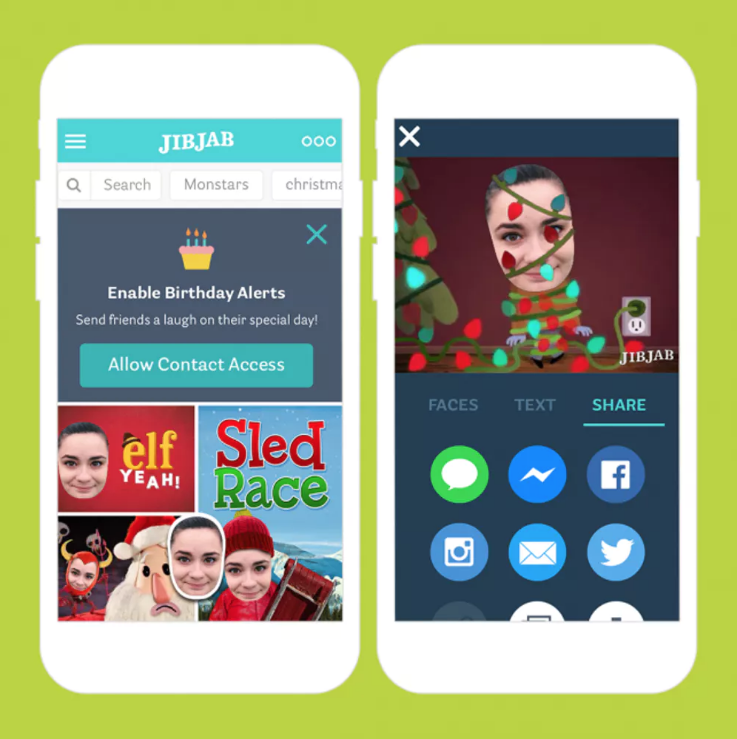 JibJab: Known as the wacky selfie dance app of the holidays, this fun ecard app is perfect for the gal who’d rather be belly laughing. 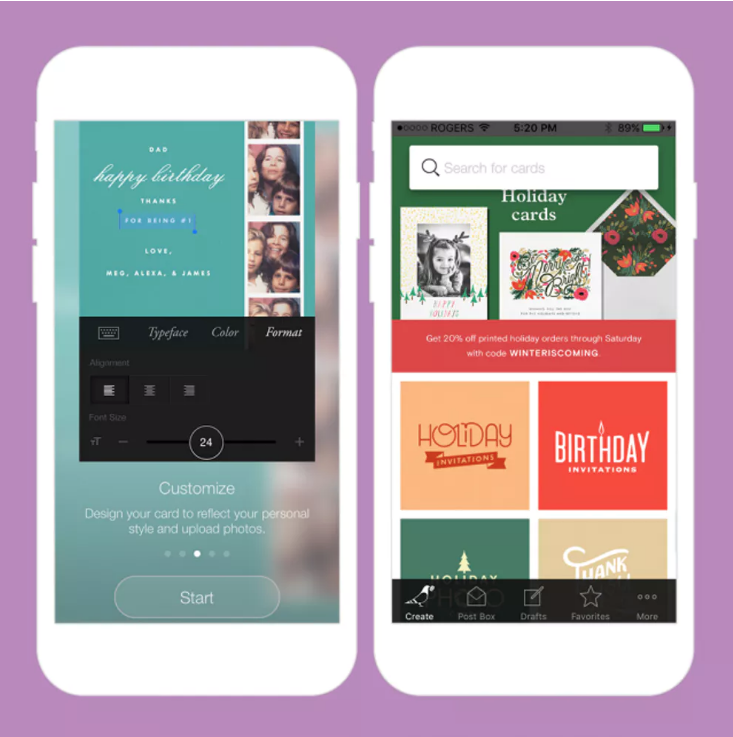 Simply snap a pic and the app will instantly use your face in dozens of holiday videos (because who hasn’t dreamed of being a part of an elfish flash mob!). 4. Hallmark eCards: If snail mail isn’t really your jam, you have to download this helpful ecard app pronto. Not only can you browse through thousands of cool and character-based ecards, but you get unlimited access for just $4.99 per month (just make sure to cancel your subscription, as it automatically renews). 5. 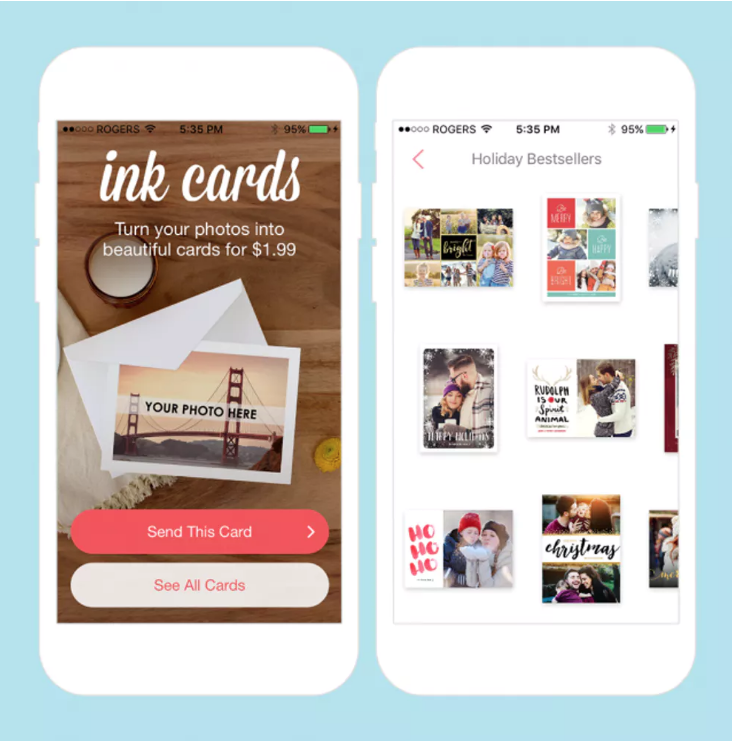 Ink Cards: There’s nothing better than receiving a holiday card with a cute family pic, and this simple app makes formatting your festive portrait easier than ever. 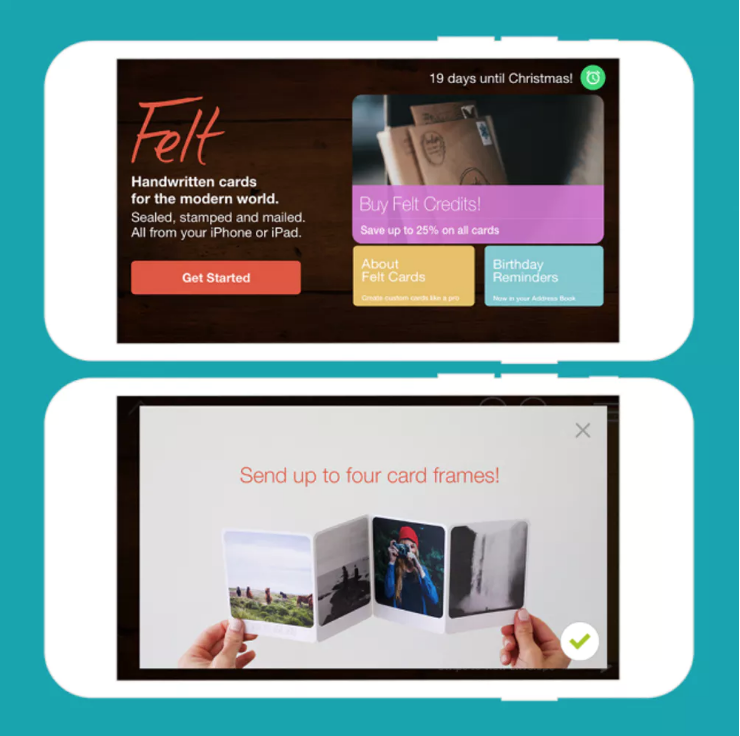 Instead of standing in line at the photo store, simply upload your family photo, customize your text and send personal cards straight to your mailing list. It’s that simple. 6. Felt: We love the convenience of having someone else write our Christmas letters, but there’s something extra special about seeing your own handwriting on a holiday greeting card. 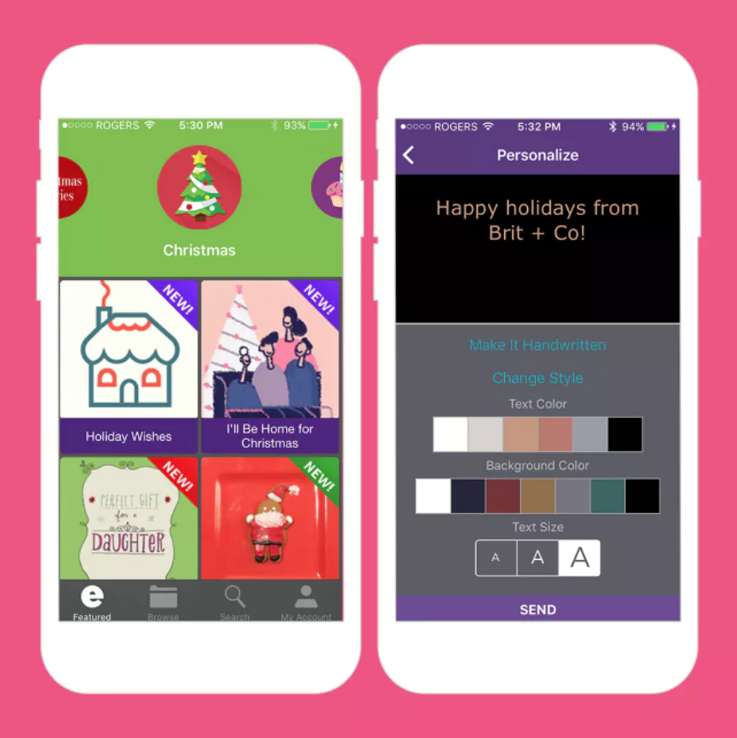 This card app allows you to handwrite your own message using their innovative writing tools. Heck, you can even add a crisp $20 to your letter if you so choose. 7. Touchnote: Christmas postcards are super trendy right now, and this is definitely the go-to place to make them. 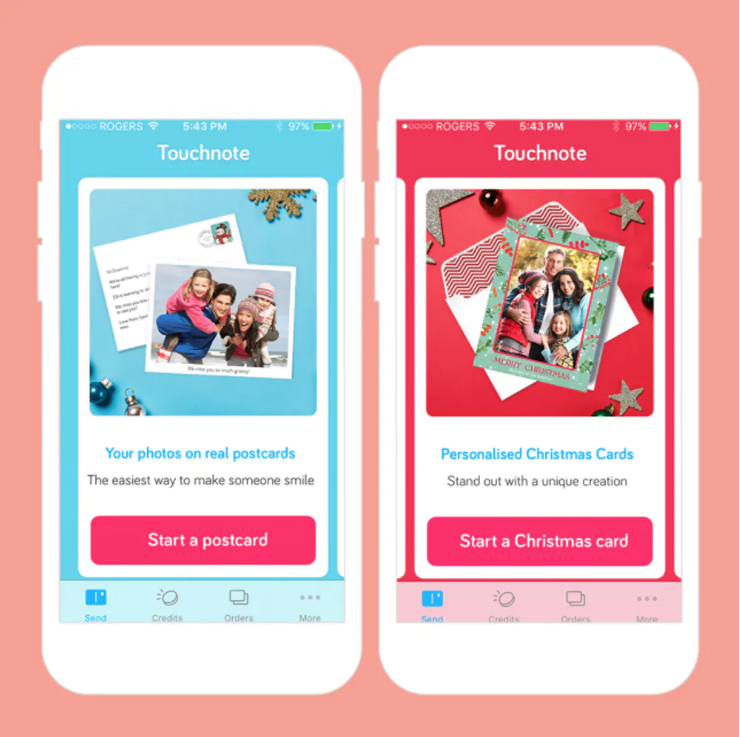 Just upload a family pic and instantly get started creating your personalized postcard. All cards include free worldwide postage and shipping only takes between two and five days. 8. 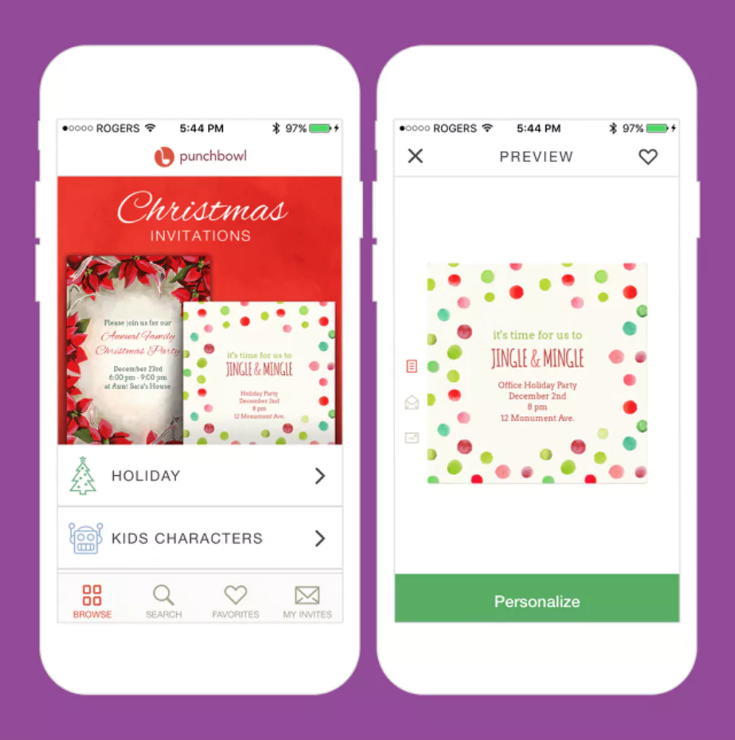 Punchbowl: Before you resort to a last-minute group text, try sending your holiday party invites with this cool app. You can create and personalize invitations for free, keep track of RSVPs and even follow up with guests who have not responded (we agree, it is rude not to respond). 9. Handwrytten: If you want the look and feel of a handwritten card without the steep hand-lettering price, check out this fun alternative. Your personalized message is written in realistic handwriting by a robot. You can even include a gift card in your envelope to make it extra special! Xiaomi partners with IKEA: who will stop the Asian giant?